Food is good. Thus, we like to highlight food here on the blog whenever possible. 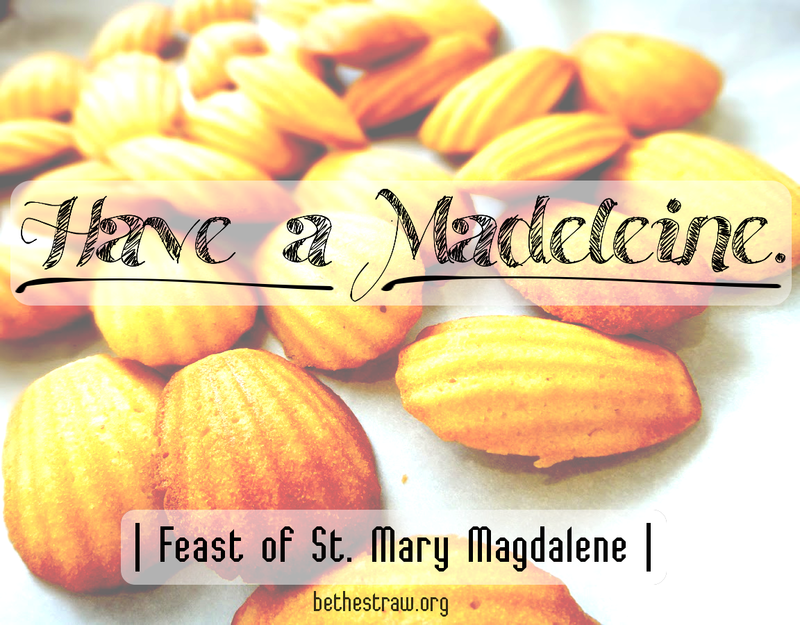 Today works out well because it is the Feast of St. Mary Magdalene. In order to celebrate the sainthood of the first person to see the Resurrected Christ, treat yourself to a Madeleine cookie. Sure it isn't directly named after her, but the cookie's name still has its ultimate root in this saintly lady. Madaleine - [mad-l-in, -lahyn; French maduh-len] fem. proper name, from French Magdalene (q.v.) Cf. also Madeline.